What is the Best Way to Heat an Uninsulated Garage? Heating a garage with no insulation can be challenging but there is some good options. With the many options to choose from here are some ideas and our picks for options to heat up a cold space not insulated well. Our Picks for Best Heaters for a Non-Insulated Garage? 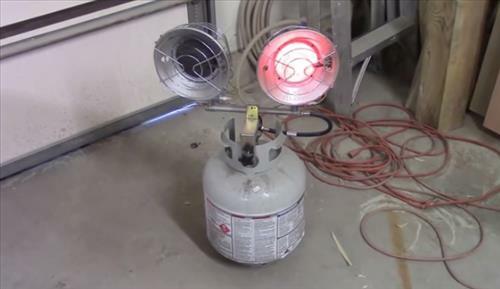 Propane tank heaters are a good low-cost solution and can put out a lot of heat. The down side to a propane heater is it needs a door cracked open to refresh the oxygen in a room. This likely isn’t a problem in a garage with no insulation but every garage is different. Another downside is having to refill propane tanks constantly. A standard 5 gallon propane tank will last 2-3 days of constant use which isn’t bad considering how much heat they put out. If you go this route it is best to have at least two propane tanks or at least one large one of 20 gallons or more. Keep in mind propane tank heaters burn up the oxygen in a room which can be dangerous if there is no opening for more oxygen to get in. 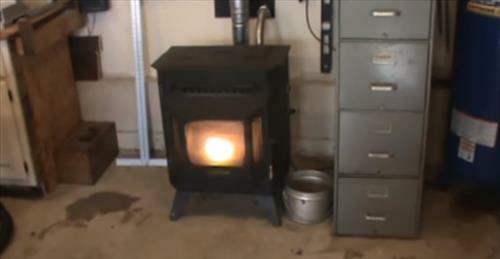 Wood stoves are a good option for those who have ready access to a supply of wood. If you live in a heavily wooded area than you likely have already thought of this and may have a stove in place. Others may live in place that wood is expensive or a city that doesn’t allow wood burning. Mini split units are likely the best options since they a quiet, low cost to operate, and also cool during the summer. The downside to a mini split is the install cost to install and setup. Most HVAC companies will charge 2000$-3000$ to install a mini split. It you are handy and can do the install yourself than DIY mini split kits cost 600$-800$ dollars. Unfortunately for most the higher cost of a mini split unit puts it out of reach but it is a nice thing to have. Electrical units are also good heaters to use which come in all shapes and sizes. The downside to electrical is they can run up a electric bill when used a lot. Even though they are not that efficient they are low-cost easy to setup units that will be heating up a space in no time. Kerosene forced air heaters put out a lot of heat and are only used in open spaces. They are often setup at construction sites in buildings to help while floating and taping drywall when it becomes too cold. Like propane heaters they use up oxygen so a door will need to be open while using one. A Kerosene heater will likely be overkill for the average garage since they put out so much heat. Only areas with very cold winters would one even be thought of being used. There are several options for heating and cooling a garage that has no insulation. If you have the money than a mini split is probably the best choice, unfortunately it is also the most expensive. Propane and electric also are good units for those looking to quickly start heating a garage. Always keep in mind safety as with any fire hazard or the oxygen a unit uses. Be sure to read the reviews on Amazon or elsewhere to be sure a unit is a good fit for you. START by installing radiant barrier… especially beneath the rafters of a garage that has its own roof. This is a passive system that takes some trouble and expense to install, but the operating cost is zero. Learn about the virtues of radiant barriers… which are NOT insulation, but which block the transfer of heat by infra-red radiation… the invisible means that defies most people’s understanding. Thus, especially in low-humidity areas… (west of the Mississippi), the radiant barrier is the vastly missed opportunity, towards efficient comfort… keeps a garage warmer at night, and cooler during the daytime. Shiny side down! If it gets dull, its effectiveness is diminished.